It's often tricky to define what people mean by smart casual. Do you just wear some jeans with a dress shirt? Slip on some trainers with your suit? There's a little more thought needed than just that, but when done correctly, smart casual is one of the most versatile styles around. You're probably wondering what the smart casual dress code for men is? It basically means you're pairing together pieces that aren't too smart and not too casual, simple right? Well in reality, it's not that easy. It means getting that informal style right without being too casual at the same time, so you could pair a blazer with a shirt, then throw on a pair of jeans and you've got yourself a smart casual look. You've just got to make sure each individual piece complements the other, you therefore need to right mix of smart but casual clothes in your wardrobe. This is where we come in. Smart casual attire can be tricky to master but sometimes a location can help dictate your style options. If you're at work, for example, keeping your boss off your back is easier if you're dressed to impress, rather than slumming it in a grey hoodie. So whether you're attempting to decode the confusion of 'Casual Friday' or you just have a general dress code that isn't clear cut, there are some easy rules to keep in mind when it comes to dressing for work. If you're in any doubt, it's always better to be more on the smart side than the casual one. You're still working so it's important to be professional and to reflect that in your attire. 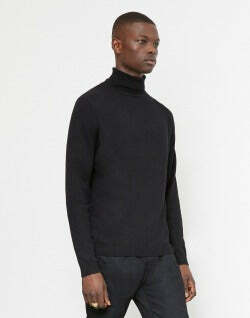 This means opting for an item like a well-ironed, collared shirt rather than a T-shirt and shoes rather than trainers. Knowing how to dress appropriately is essential for the work place so one fundamental rule to remember is for when it comes to colour and texture. Trying to mix too many textures and colours together can damage your style and make something that lies more towards casual than smart casual. Starting with a neutral base and adding in extra details can help you construct an outfit that's both stylish and laid back. If you're planning on wearing jeans as part of your smart casual look then you need to make sure they're the right colour and fit. Dark colours work best, so always go for dark navy or black jeans. And for the fit, you don't want them too tight or too baggy. Therefore you need to opt for a slim or straight fit jean that fits correctly. We don't want to be seeing them gather up around your ankles so check the length or get them taken up before you wear them. On the whole, navy jeans will give a less intense, lighter vibe and can easily be paired with a white or patterned top however this is still fairly casual. Black jeans are good if you want to achieve a more striking look as the dark colour will create a contrasting outfit. The darker the jeans the closer they are to black trousers, so if you want to appear smarter then black is a good option. It's not always easy to get your knitwear right, especially if you're trying to make it suitable in a smart-casual setting. 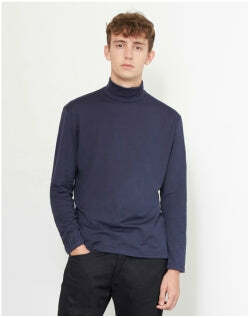 There's the obvious V-neck jumper and button up shirt combination, but after seeing that destroyed in the cliche of middle manager fashion, you might fancy avoiding it, unless you feel like pairing it with a stylish pair of patterned trousers and smart brogues to give you that fashion edge. So if you don't want to go for the jumper over shirt combo then why not go for something less formal. It's always worth remembering to keep your knitwear slim fitted, as this makes it easier to pair with smarter looking pieces. Choosing a textured or simple patterned jumper while the rest of the outfit is kept neutral will give you a good balance between casual and smart. So you've got the bottom and top half of your outfit sorted, but you just need something to throw on over the top for those chilly days. The last thing you want is a hyper-formal overcoat or a ratty jacket that you've worn out over the years. Your outerwear needs to be bang in the middle of smart casual as you can't have half smart, half casual like the rest of your outfit. Your best bet is to choose something that's neutral in colour and a good fit, but more of a relaxed design like a Harrington or bomber jacket. A coach jacket or shearling jacket will give you that smart casual vibe you're after. Can You Wear a Suit Jacket with Jeans? This is a big debate as some people love it and some people hate the combination. But the only reason it gets some hate is because when it's done wrong, it's really wrong and you look like you've just stepped out of a 90's disco. 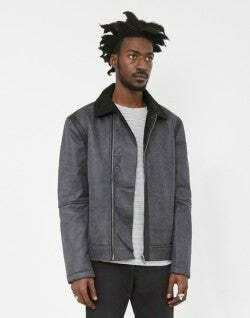 You need to think about the texture, colour and design of both the jacket and jeans. Try wearing a classic grey tweed blazer with a white button down shirt as this instantly gives you that formal edge. And instead of wearing a pair of matching trousers, go for a dark pair of raw denim jeans as these are a smarter alternative to a regular pair of jeans. You can roll them up or leave them as they are, but try and wear with a pair of brown penny loafers to finish off the smart element of the smart casual look. Business casual is something that's a little different to your standard smart casual attire. This is when, if you're fortunate enough, work in an environment where a strict dress code isn't installed, so, if you really wanted to, you could sport a pair of jeans to work any day of the week. When it comes to casual professional outfits, try teaming a tweed sports jacket with casual tops and trousers. Finish the outfit with some loafers or boat shoes and if you can get away with it, a pair of clean white trainers instead. If you want to wear jeans, still look smart but don't want to go for the blazer look then you can still get the smart casual look with the use of the right T-shirt. The simpler the top the better, you don't want something that's too loud or in your face as it won't look smart. 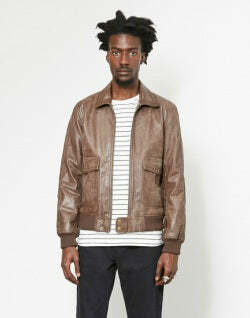 A plain white tee under a smart coach jacket leans more towards casual than smart but still has that formal cut to it. But if you are wearing jeans, the two most common pieces to go for are a button down shirt or a slim jumper. These versatile items of clothing are perfect for a smart casual aesthetic that's neat and stylish, without becoming overly formal. Combining them with jeans is a great way to perfect this style. Now that we've gone through some of the potential outfits to try, you now need to know what individual pieces you need. To create a good smart casual wardrobe you need pieces that compliment each other no matter what you pair them with. The colours shouldn't be too loud so that they clash but they also shouldn't be so dull and similar so your outfits look boring. Having a selection of navy, grey, white and black pieces with the odd splash of colour will keep your looks new, fresh and exciting. So here's a break down of what pieces you can add to your versatile wardrobe. For shirts, you can easily go for a solid smart oxford shirt and pair it with a more casual lower half. You can also do the opposite and try out a more casual shirt and pair it with something smarter like some straight leg chinos. If you want to step away from the less unique white oxford shirt, why not try something like a granddad collar shirt, or choose one with a simple patterned. This will keep the style trim and sophisticated, but not overly smart. Overshirts are also a good way to add some smartness to your outfit. 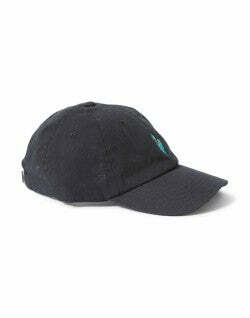 Wear these open over a plain white T-shirt and you can pair these with both jeans or smart trousers. The overshirt can also be the piece that adds a touch of colour to your outfit, so choose wisely. Of course T-shirts are key for any wardrobe. 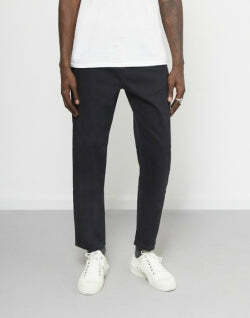 A clean cut white T-shirt is a staple every man needs, as it can easily be dressed up in various smart casual outfits. Throw on some chinos and a denim jacket, or go for something smarter with a slim fit jumper, some jeans and loafers. A T-shirt and jeans combination isn't complicated or overly smart, it's the addition of loafers and a smart looking jumper that tugs it towards formality. So if you need something a little smarter, pair your T-shirts with things that add the smart in to your outfit. For the jeans, as we've said already it's essential to make sure you get the right style. On the whole, ripped, baggy or heavy washed jeans are a no go. They just give off too much of a casual vibe and it's difficult to mix them with smart pieces. Imagine a pair of baggy jeans matched with a slim fit blazer. Not ideal. Instead you should try and choose a pair that has a solid colour and is slim or straight cut. You want the jeans to follow the contour of your legs and not look or feel like a pair of leggings. If you want to stick to something smarter then trousers will be your best friend. Many people think that when you wear trousers you instantly look smart and have to wear them with a matching suit or outfit, but this is where you're wrong. A pair of grey slim trousers, paired with a white T-shirt and Dr Martens gives you an instantly cool outfit that you can wear to your business casual office. One thing to remember is that if you're wearing trousers with a suit then you don't really need a belt as the trousers should fit you perfectly. 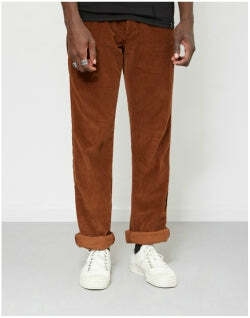 But if you're wearing trousers with simply a jumper or plain tee then a belt looks good. It's an added accessory that will pull an entire outfit together. For your footwear avoid anything too laid back, as if you're going for more relaxed leg-wear or shirts then you want the ensemble to be balanced. Shoes like brogues, loafers, chukkas or desert boots are ideal as they give a clean finish and can be matched easily with jeans or chinos. Even if you pair these with smart trousers they'll create a look that's more relaxed than your usual office wear. If you want to push the boundaries then you can go for some clean trainers. Choose a pair that are classic and simple and aren't full of too many colours. 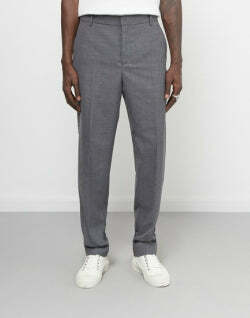 You can even pair trainers with your trouser outfits, just make sure they're not scruffy. For a smart casual look you need to make sure everything complements each other. Colours are key so think about what you're wearing. Always opt for slim fit jeans or tapered chinos and not anything too loose or baggy. You need to keep things fairly tailored. Avoid clothing with rips or bold patterns as this swings more to the casual side of things. Keep things subtle and if you want to do pattern, make sure you don't over do it. For casual pieces like jumpers and T-shirts, make sure they’re slim fitted as this will keep your outfit looking sleek and neat. The smart casual look is something that can be hard to pin down, simply because there are just so many outfits and options to go for. This means there's something to suit any style, so whether you're a fan of T-shirts, chinos, shirts, jeans or good old fashioned knitwear, there's going to be a way for you to dress them up or down by simply following a few basic guidelines. Keep things slim, tonal and not too loud.